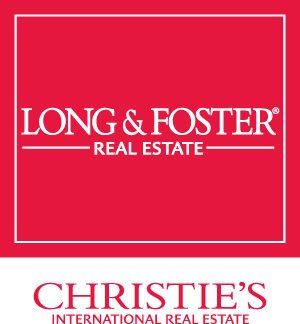 Queen Anne's County Information | Donna Wisniewski, Realtor 410-991-7305 donnawis@longandfoster.com Donna Wisniewski helps people buy and sell homes in Annapolis, Anne Arundel County, and Queen Anne's County, Maryland. Homes include houses, townhouses, and condominiums. Queen Anne's County is " The Place to Live, Work and Play", as it offers close proximity to small seashores, towns, and metropolitan areas balanced with the relaxing outdoor environment and lifestyle of waterfront and rural communities. The county is located within one-hour's drive to to the major metropolitan areas of Baltimore and Washington, DC. It is connected to Anne Arundel County via the Chesapeake Bay Bridge. Bridge commuters are provided special (reduced) rates by the State of Maryland. Queen Anne's County is also a short distance from the historic town of St. Michaels, where you'll find a picturesque harbor, small shops, and several restaurants. St. Michaels was named one of the Top 10 Best Small Coastal Towns in America by USA Today. A tad bit further east you'll be in Ocean City, one of the premier seashore vacation destinations on the mid-Atlantic Coast. Ocean City offers 10 miles of the cleanest sandy beaches on the Atlantic Ocean, a boardwalk stretching over 26 blocks, and much more. Queen Anne's County appeals to environmentalists and waterfront buyers with its 400+miles of scenic shoreline. The county offers the use of many public boat launch ramps for a modest annual fee. There's also an abundance of marinas on Kent Island as other surrounding areas. Queen Anne's County appeals to companies seeking a prime, affordable location that offers an excellent quality of life and a skilled workforce. 1,400+ businesses in the county currently employ over 11,000 workers and enjoy easy access to government facilities, federal laboratories, prime contractors, and tech centers. Residents and visitors enjoy the maritime history, art, and culture of the Eastern Shore, which includes many small towns and villages. Major employers include Chesapeake College, S.E.W. Friel,Paul Reed Smith (PRS) Guitars, Tidewater Direct, and Power Electronics. When one visits the Eastern Shore, you need to partake in lunch or dinner at many of the well-known seafood restaurants located at Kent Narrows or the broader Kent Island area. Be sure to try the world famous Maryland crab cakes, steamed crabs, and oysters!